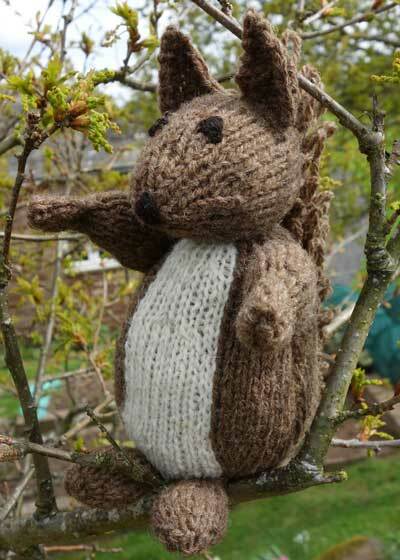 This red squirrel, complete with bushy red tail, is knitted with the naturally toffee-coloured British Manx Loaghtan wool, together with a contrast panel from North Ronaldsay wool and Black Welsh Mountain wool for eyes and nose. The kit also includes scoured and carded Manx Loaghtan fleece for stuffing your squirrel. Red squirrels are a much loved woodland animal, found in England’s Lake District, Northumberland and parts of Scotland, mostly. You will need a pair of 3.25 mm straight needles to complete the project.